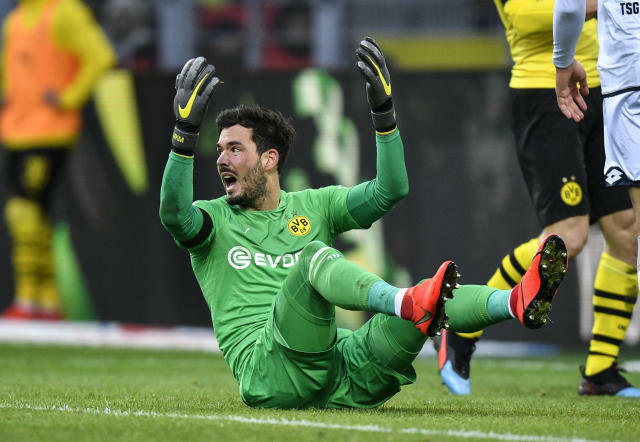 BERLIN (AP) — Borussia Dortmund squandered a three-goal lead and drew with Hoffenheim 3-3 at home then watched Bayern Munich cut its lead in the Bundesliga to five points on Saturday. 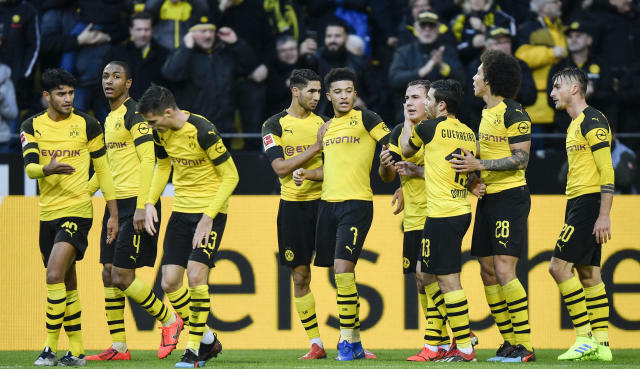 Bayern took advantage of Dortmund's second successive league slip-up by beating Schalke 3-1 in the late game, lifting the six-time defending champion back to second place. "A very bitter outcome," Dortmund midfielder Mario Goetze said. But those fears seemed misguided with Sancho sparkling, particularly in the first half. 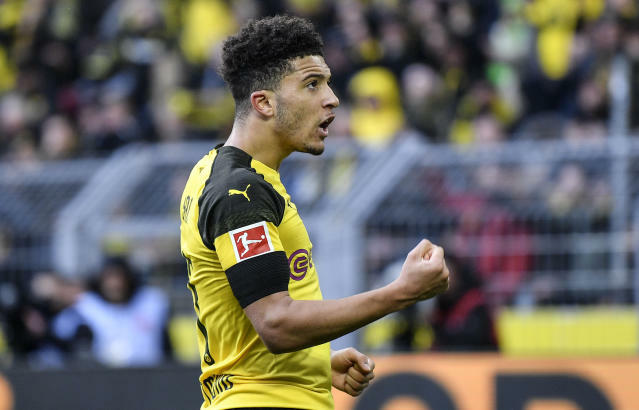 Sancho was denied a second by Oliver Baumann but Goetze prodded home the rebound before the break. 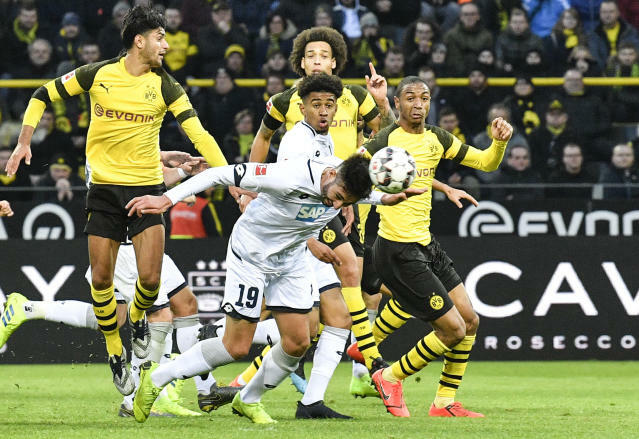 Sancho struck the post before Ishak Belfodil scored for the visitors in the 75th. Eight minutes later, Pavel Kaderabek grabbed another. Belfodil equalized with his second goal in the 87th. "When you lead 3-0 at home it shouldn't happen. We played well for long periods, didn't allow many chances. It's bitter how it worked out," Goetze said. Bayern, which slumped to a 3-1 defeat at Bayer Leverkusen last weekend, bounced back with a comprehensive defeat of Schalke, which could easily have lost by more. Lewandowski caused an own goal from Jeffrey Bruma in the 11th minute and restored Bayern's lead in the 27th, two minutes after Ahmed Kutucu scored with Schalke's first foray forward. Midfielder Weston McKennie set Kutucu through on a counterattack. Serge Gnabry sealed Bayern's win before the hour-mark after Lewandowski inadvertently set him up with a bicycle kick. Moenchengladbach, which had been second, lost to Hertha Berlin 3-0. Gladbach had previously won all nine of its home games this season.